Coffee table, square XXL - Modern Line. Made of hand painted MDF. A design of Toms Company. Shipping costs outside the Netherlands on request. Bar table made of metall, in Toms Drag design. Height: 108 cm / diameter 55 cm. 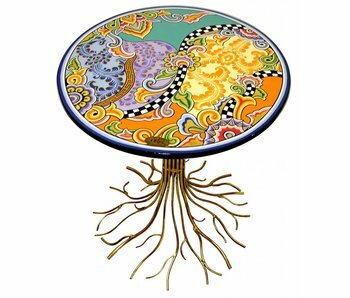 Round table with wooden table top and gold colored metal leg, shaped like the roots of a tree. 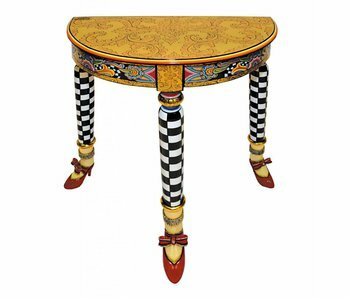 Handpainted Drag table of the Malaga Collection, designed by Tom Hoffmann. Size: diamter 59 cm / height 72 cm. 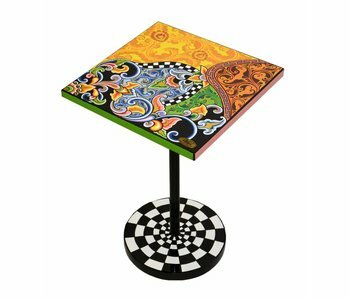 Round table wit a table top of wood (mdf), made and painted by hand in typical Toms Drags style. 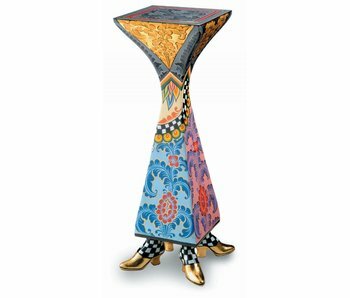 The table leg shaped as branches is made of gold plated metal. Height 60 cm x wide 60 cm. Lovely round wooden table from the Versailles Collection with a diameter of 45 cm. Height 40 cm. Completely hand painted. 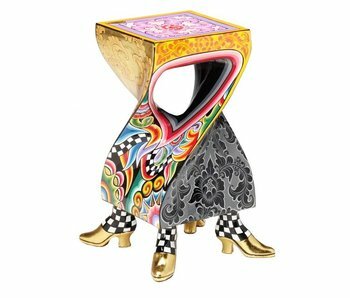 Side table Lola made of MDF. 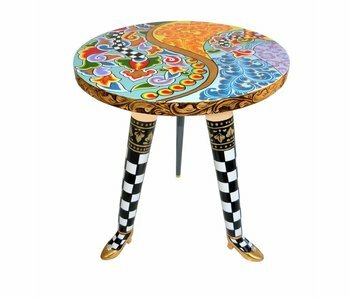 This unique round side table has cheerful colors and a separate design. 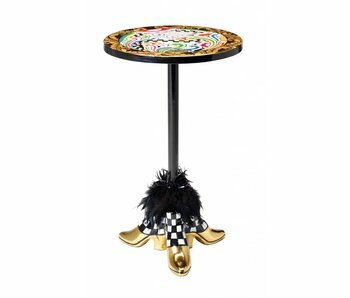 Side Table Gold, Drag table, side table with wooden top, metal leg and three golden shoes. 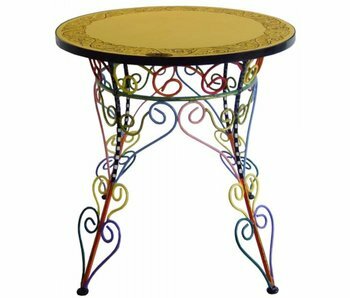 Table designed by Tom Hoffman, golden table, round table in Drag design. 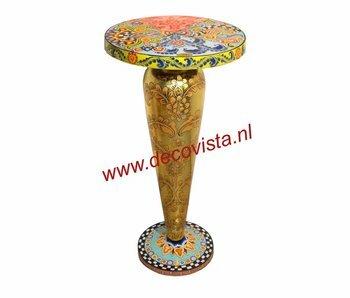 Side Table Sun, with wooden table top (MDF) and metal leg with three gold feet. The crown of feathers can be removed. The round blade has a diameter of 35 cm. 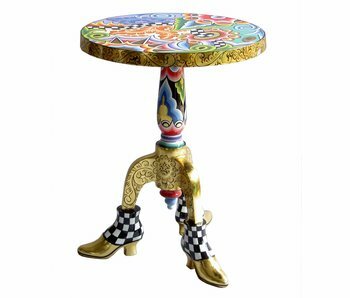 Colorful, round metal side-table on three table legs with golden shoes. 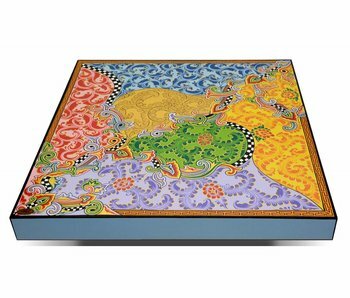 Handmade table by Toms Drag. 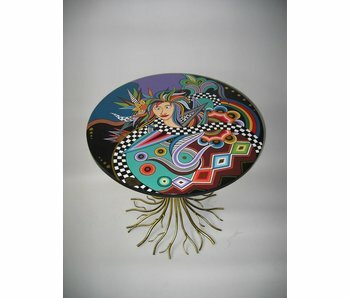 Height 53 cm, diameter 41 cm. 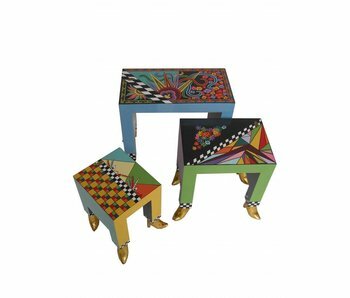 A set of three wooden tables in various hand-painted bright colors, each on golden shoes. Elegant, semi-circular Versailles table where classic with modern are mixed. Height 75 cm, width 70 cm. Handicraft. 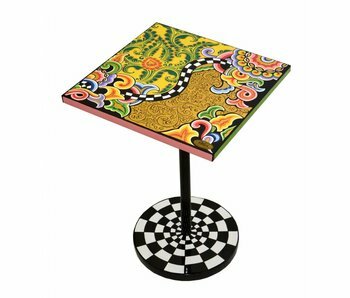 Special drag table with a twist and openwork interior. The perfect height to use next to a chair or as side table. 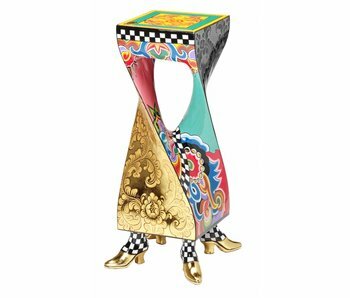 Size: 57 cm high, 29 x 29 cm. 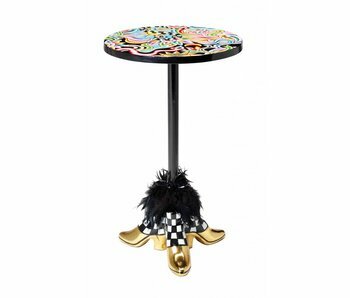 Toms Drag column with a twist, sidetable with a hole. Drag table made of fiberglas and marmorin. 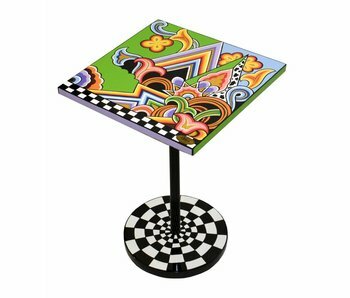 Handpainted column or plant table. 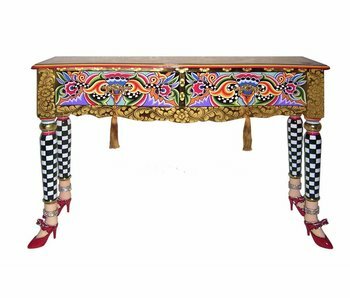 Console table Versailles is a versatile Toms Drags designer furniture with two drawers. 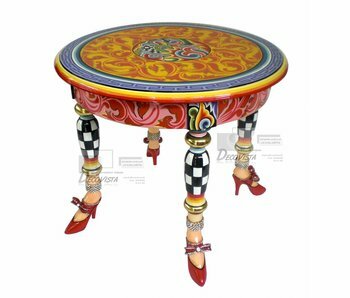 It is 100% handmade from wood (mdf) and beautifully painted. Dimensions: 115 x 33 x 80 cm.